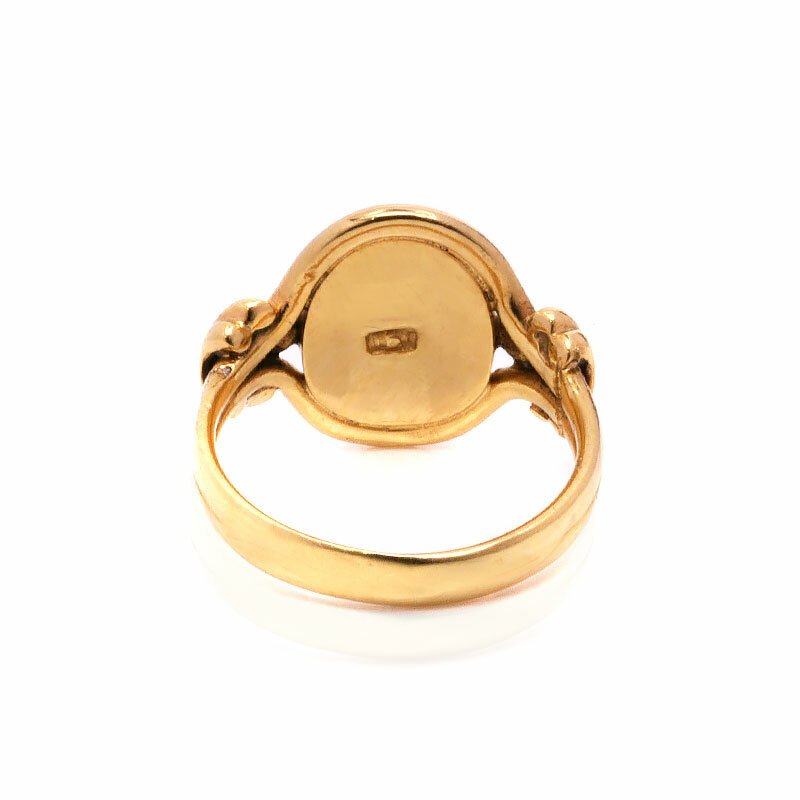 Product code: ES7759 Categories: Sold Items, Sold Rings. Perfect for any occasion, this antique 15ct gold cabochon garnet ring from the 1880’s sits so proudly on the finger and looks amazing with the rich coloured garnet set into a very stylish hand made setting. 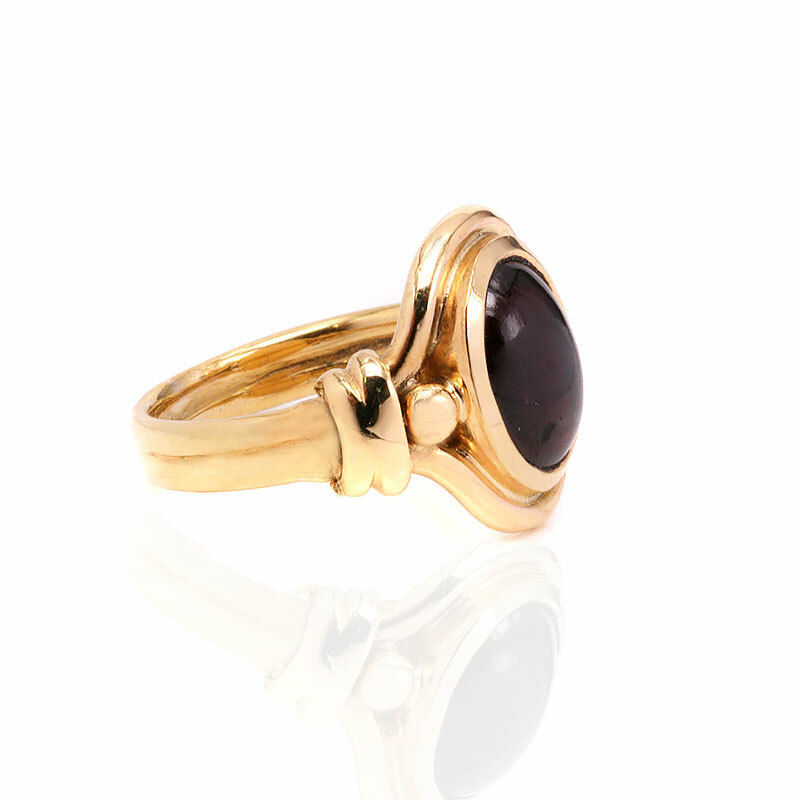 Made in the Victorian era, the cabochon garnet has such a strong and vibrant burgundy colour to it that matches so well with the rich colour of the gold. Measuring 15.9mm by 19.7mm across, the bold setting accentuates the lovely dome of the garnet and gives the ring a modern contemporary look to it that will easily allow this ring to be worn with other antique jewellery as well as modern pieces. Absolutely perfect for any occasion and finger, this antique cabochon garnet ring will continue to look good well into the future. This antique ring is set with such a magnificent cabochon cut garnet. Cabochon cut gemstones are ones where there are no facets (cuts) to the stone, resulting in a smooth dome-like top. Garnets were very popular gemstones during the Victorian period and are also the birthstone for January. 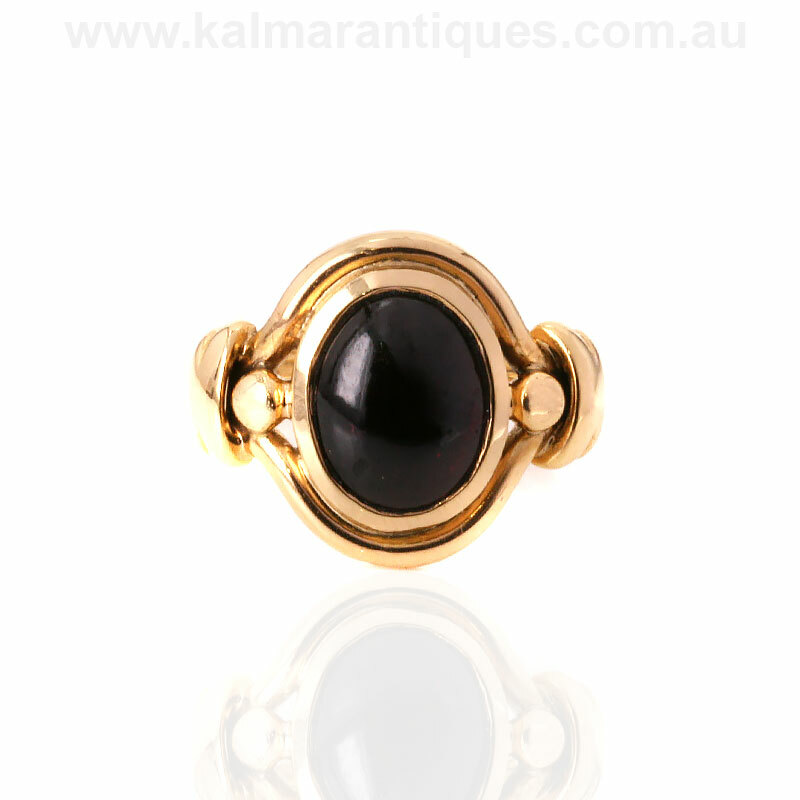 Antique garnet rings lasted so well thanks in part to the high hardness and durability that they possess.This antique garnet ring is made in such a design that will allow it to easily be worn with other antique jewellery as well as modern jewellery.